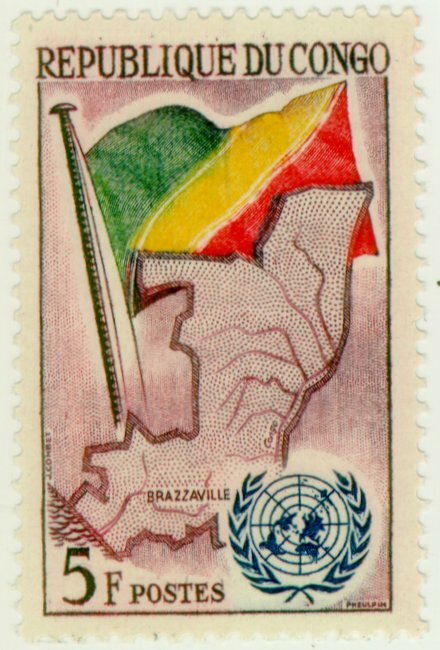 In 1959 the autonomous repoublic of the Congo adopted a diagonal tricolour. This design was kept on the independence, on the 15th August 1960. On the 31st December 1969 a new constitution was adopted. 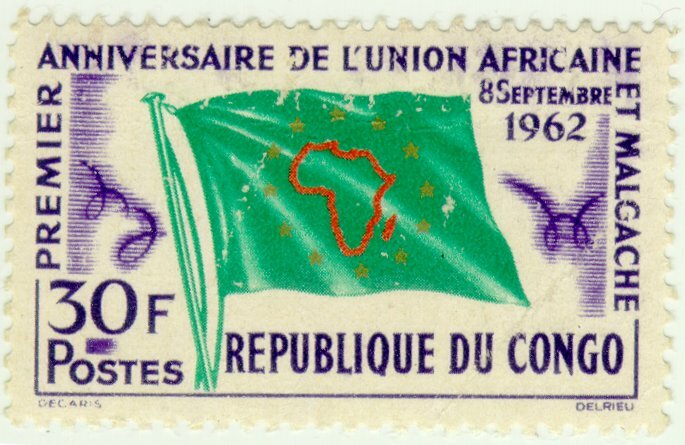 In force the 3rd January 1970, it changed the name of the country to the People's Republic of the Congo and the flag to the red flag of the Congolese Labour Party. Since 1991 the Congo reverted to the previous flag and name. 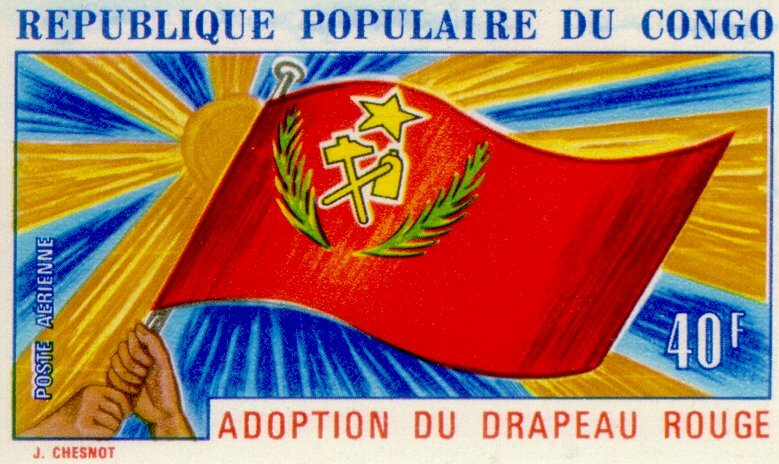 Created in 1961 at a 12 former French colonies head of state summit, the Union Africaine et Malgache had up to 14 members. It changed its name at least twice as the Union Africaine Malgache et Mauricienne (when Mauritius joined) and then, in 1974 as the Union Africaine et Mauritienne. I have no evidence this organisation is still running. Its flag was green with a red outline of the Africa and Madagascar, and a ring of 12 golden stars. Darrièra modificacion lo 23 de decembre de 1998.